I have been working with Miro, Snezana and the network of churches that they serve for around six years now. 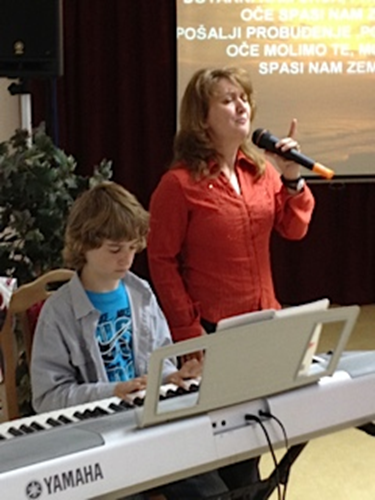 Originally the opportunity came out of a word God gave to me as I returned from our first missions trip to Bulgaria. God clearly spoke to me about working in every country that we had driven through on the way down to Bulgaria. Within a few months I was invited to hold a tent mission in Serbia and since then have facilitated a number of tent missions within this nation. These have taken place in Roma, Hungarian, Slovakian and of course Serbian communities. Due to the frequent border changes, Serbia has whole communities with very different national identities and two villages within a short distance of each other might speak totally different languages. As well as carrying out missions based around the tent we have also gotten involved with training church leaders and encouraging the churches. Some of these experience significant levels of persecution from the Orthodox priests who often hold the people of a community in fear and churches other than Orthodox are considered to be sects. This most recent trip was spent encouraging church leaders and teaching in their churches. Over the week I visited a number of works, spent time with their leaders and ministered in the churches as well as teaching on specific subjects. 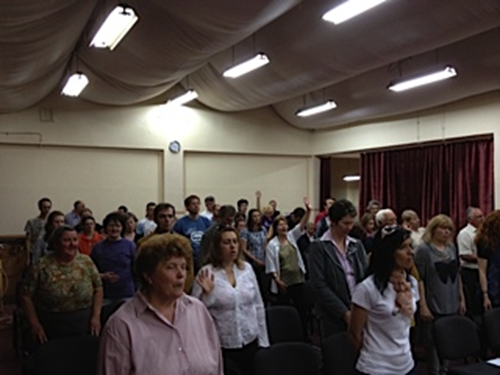 As part of this programme I returned to the Hungarian church plant where last time we ministered at an outreach service and saw thirty people come to know Jesus and a number of people healed in one evening meeting. I am pleased to say that nearly all of these new disciples were in the church and going on with God and nine more people committed their lives to Jesus this time round. What a privilege it is to see God work in lives in this way! We also saw a number of people healed by the power of God during this evening. It was encouraging to see that many of the churches are growing as progress in the past has been slow and it previously seemed that they took one step forward and one back but now they are starting to grow which is very motivating for the church leaders who have served for many years in difficult times with little to show for it. Times are still hard in Serbia especially in the rural communities where they are reliant on the harvest and the market price of the crop. It seems often around harvest time the international exchange rate changes meaning farmers receive only a little more than it cost for them to produce the crop. This makes for very lean times. Please continue to pray for Miro, Snezana and their two boys as they seek to pastor their church and serve other churches in Serbia.